How do I create a login entry for an Android app? 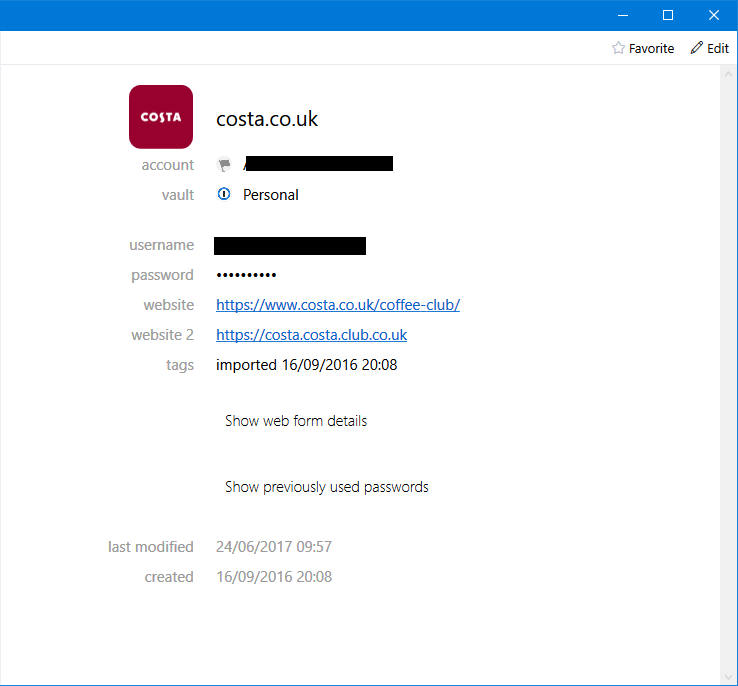 I've got a login for "www.costa.co.uk", but this is also valid for the Android app "uk.co.club.costa.costa" - I seem to remember that it was meant to be possible to create a 2nd website for the same item in the reverse order (ie. costa.costa.club.co.uk) and this would match the Android app. Is that true, or did I imagine all of the above? Hey @archifishal. Nope! You didn't misremember that. For filling in apps using the custom keyboard and accessibility service, you'll want to revers the package name. This is just for app URLs, though, and not for the site URL. For the site URL, you'll want to use the one displayed on the login page. For the app, you'll want to revers the app URL. So for uk.co.club.costa.costa, save https://costa.costa.club.co.uk. Let me know if that helps! @archifishal: Ah, sorry for the confusion there. That's correct. If you set that as the first URL, 1Password for Android can match it though. I hope this helps!